I am definitely a Dior girl, always have been and probably always will be. I just LOVE the beauty and cosmetics range and own several perfumes too. My Dior collection is ever-growing but it is on the pricey side so I do have to take it easy! I've picked out some of my current Dior favourites that I have been using a lot over the winter period for you. This was the first mousse foundation I had tried and I loved the consistency and coverage. The product offers a 'zero pore effect' and it does just that as product absorbs into my skin effortlessly. It blends perfectly on top of my moisturiser and leaves a lovely smooth finish to my skin. I struggle with combination skin and love that this product is non oily so the coverage is great all over and long lasting. This is my favourite ever face powder. It is so long lasting and I use it every day to compact my make-up in the morning. It's also great for touching up throughout the day and you only need to use a light layer of it rather than cake it on like a lot of face powders. I chose a shade one shade lighter than my foundation so that I could use this concealer to accentuate my shadowy areas. It's also great for under the eyes and for concealing blemishes which I tend to get more of during the winter months. This product is amazing. It gives me a gorgeous healthy glow as it acts as a bit of a bronzer/highlight though it's very light finishing. I am in search of a bit of colour during the winter when I don't tend to see much sun so I would definitely recommend this product. This is my favourite pink Dior shade and I always get complimented on this shade as it's so pretty and sophisticated. It is a long-lasting matte finish lipstick and the packaging is a gorgeous metallic gold with an iconic shape. The perfect red lip for the Christmas period! I absolutely love this colour; it's highly pigmented with a sensual satin effect and I will definitely be wearing it over the Christmas period. 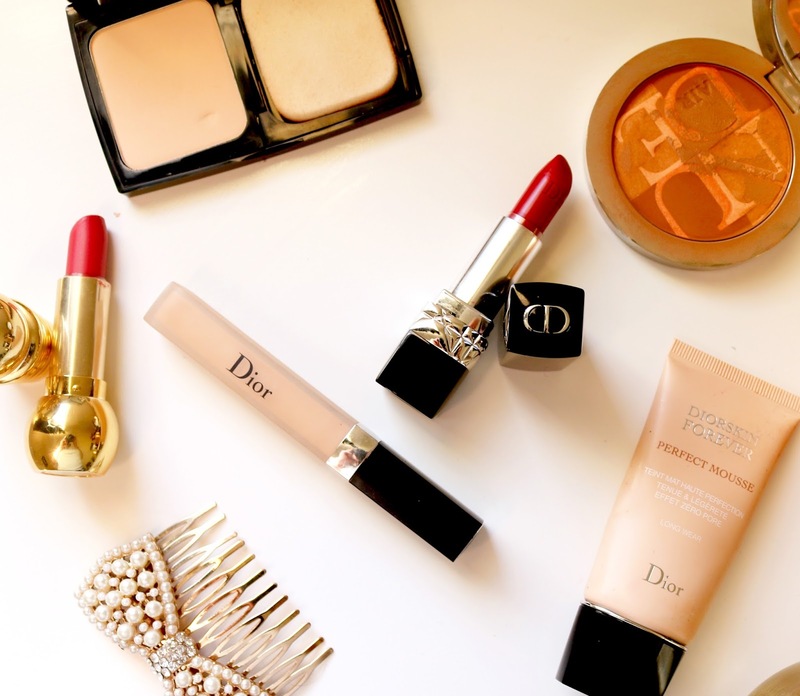 Have you tried Dior products? If so, what are your favourites?